Beloved actress Park Min Young is back with a new tvN drama called “Her Private Life,” fans have been anticipating the premiere of the drama that was promoted everywhere. She is joined by actor Kim Jae Wook who is taking on his first leading role in a while. “Her Private Life” tells the story of an art gallery curator named Sung Deok Mi. She is a huge fan of an idol group member Shi An and secretly runs a website dedicated to him, she hides her affection towards him from people around her. Ryan Gold (Kim Jae Wook) is a famous painter who takes on the job of the art gallery director; he finds out about her private life and takes an interest in her. I am a fan of both actors and with all honesty been dying to see Kim Jae Wook take on a leading role, it’s been forever. I have checked out the premiere and have a couple of thoughts to share with all of you. I think it’s better if we go back in time and remember 2018 hit drama “What’s Wrong with Secretary Kim,” the drama was a huge success and was Park Min Young rom-com after a long focus on heavy melodramas so people were so excited to see a new side of her. Her character in “What’s Wrong with Secretary Kim” resembles her character in “Her Private Life” a little too much for anyone not to notice. Both chic hardworking women who follow orders to tea, she has a beloved family and a close friend by her side, she works with a cocky and hot-tempered talented director/CEO who thinks highly of himself. “Her Private Life” appears to be a simple script, however, these are only basic observations rather than the conclusion. I have to watch the whole drama to fully judge. 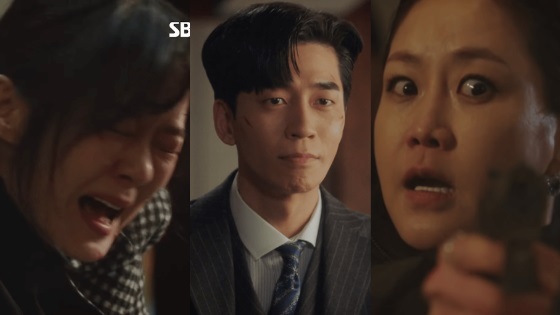 In my 2018 “What’s Wrong With Secretary Kim” drama review, I talked about my opinion. I thought the drama was okay but wasn’t anything too special, the chemistry between the cast and the directing style really helped out, there was a catch in “What’s Wrong with Secretary Kim” which made it tolerable but it seems that the catch with “Her Private Life” is a bit too obvious. Netizens have been comparing both characters, especially since “What’s Wrong with Secretary Kim” enjoyed great success both domestically and overseas. Park Min Young did a great job and that character stuck with people. When she decided on her 2019 drama comeback she chose a character that on the surface appears a bit too similar to her previous character. It could be that she wanted to replicate the success she found with “What’s Wrong with Secretary Kim” that was overshadowed and short-lived following outlandish rumors claiming the two leads were dating. And honestly, I don’t blame her, rom-coms sell and it did boost her popularity in 2018. I think she’s a good actress but I kinda hoped to see her in something different, something peculiar and challenging. I am not going to lie, I really enjoyed episode 1 and 2, however, I still felt that the script was extremely predictable and the writing style is all too similar to stereotypical kdramas we’ve seen about 50 times already. The drama is based on a novel titled “Noona Paen Datkom” by Kim Sung Yeon, and get this, it was published back in 2007. This is why it really reminded me of older Kdramas I watched when I first started out. I am hoping that in the upcoming episodes the writer dives deep into her obsession with younger idols and how it took a toll on her life, exploring that side will give the drama much needed depth. 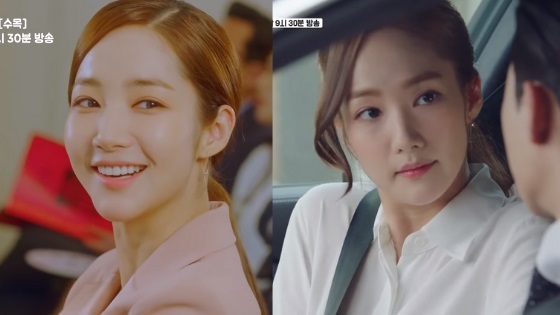 Park Min Young acting style in “Her Private Life” is also extremely similar to that of “What’s Wrong with Secretary Kim,” not to say that’s bad but definitely underwhelming. Facial expressions, mannerism and outfits style scream Secretary Kim. I won’t say the premiere disappointed me because I actually had low expectations going in and that’s because I read the script outline and knew what I was getting into. 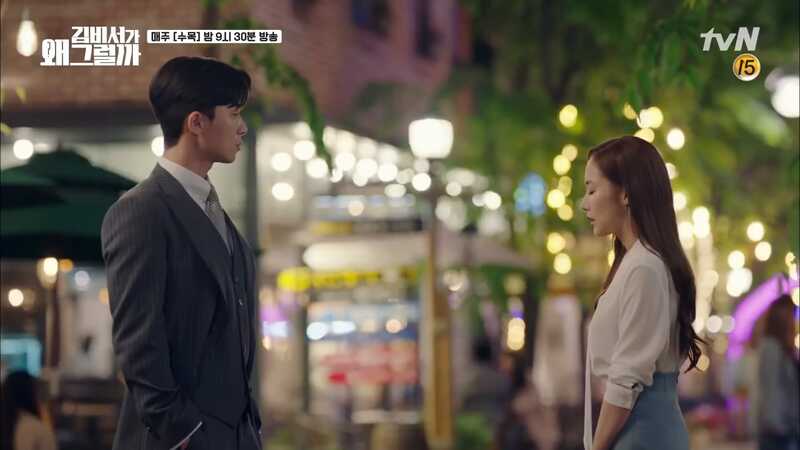 It’s your typical rom-com, expect heartache, expect heart fluttering cringy moments, expect the ‘unexpected’ past-connection, expect a lot of typical moments you’re so used to in other kdramas to also be included in this drama. “Her Private Life” is- to me- one of those guilty pleasure dramas that you cringe while watching but still watch for the sake of the leads anyways. I love Park Min Young and Kim Jae Wook and personally speaking if it weren’t for them, I don’t think I would’ve been able to last through episode 1 and 2. Listen; if you liked “What’s Wrong with Secretary Kim” you’re most probably going to love this. Episode 2 picked up and I am hoping to be surprised in the next episodes, there is a lot more room for surprises. 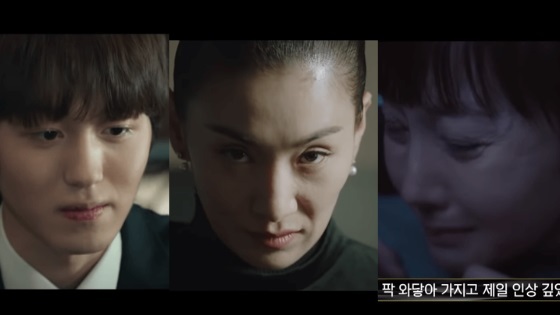 I am not trying to bash the premiere but merely pointing out something I found interesting watching episode 1 and 2 of the new drama, I’d like to know what you guys think. I hope the drama takes an interesting turn in the upcoming episodes. I also wish for it to be successful. Fighting! What did you think of the premiere? Did you like it?